Home Learning	Vegan, Organic, Biodynamic, Sustainable, Sulfite Free – So What’s the Deal With Natural Wine? Organic. Biodynamic. Sustainable. Vegan. No Sulfites. We’ve all heard these terms more times than we can count, but what do they mean when used in the context of wine? Many times the term ‘Natural Wine’ is used as an all encompassing descriptor. The last several years have seen a significant increase in consumer awareness when it comes to food. 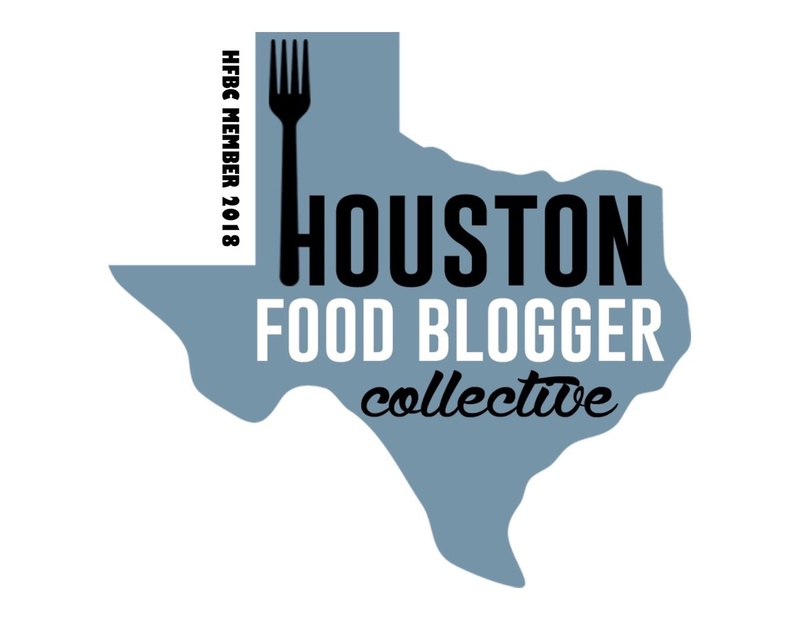 What’s in the food, where it comes from, how it’s produced, etc. are all common questions that many of us now ask. Locally sourced and organic foods are some of the fastest growing segments in the food industry. Sustainability is no longer a fringe idea but squarely in the mainstream. And while many consumers are more knowledgeable about their food, many have no clue what goes into their wine. Most people just figure there’s a basic way to make wine and if it tastes good, then all is right with the world. Well, not so fast. There’s a whole lot of adulterated wine out there. But let’s also be clear that not all adulteration is bad. At least not in small doses. And maybe that’s not the word we should even use. Additives in wine include things like yeast, antioxidants (that would be you sulfur), tannins, acidifiers/de-acidifiers, clarifying agents, and stabilizers. Wine is volatile and inherently unstable and thus methods have been developed to stabilize it and prevent it from spoiling. Sometimes it doesn’t come out the way we want and is further “enhanced” with sugar or acid if local law allows. Whatever the method of “adulteration” or “enhancement” there are folks on both sides of the debate including those who want as close to a natural wine as they can get. When you move away from these more “normal” additives and start seeing things like Mega Purple, which is a grape juice concentrate used to color correct wines – you know to make them that deep shade of red we love – then more folks seem to get concerned. In addition to adding color, the ultra-sweet concoction can add a hint of sweetness to wines and is also used to cover up those green bell-pepper tasting pyrazines. There are also things out there like aroma enhancers and ammonium salts and even water added to wine depending on the location. Depending on who you are, you may have no issue with some of these practices. Or you may be OK with all of them. You may be OK with small amounts but don’t want winemakers to get carried away. However, if you are a consumer that wants very little in the way of the “extras” in wines, then more than ever there are so called natural wine options available on the market. The folks at Natural Merchants have made great strides in trying to fill this niche and make consumers more aware of what goes (or doesn’t go) into wine. 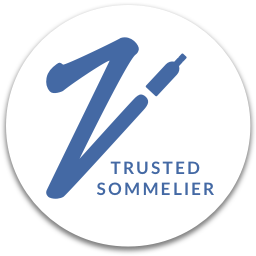 They are one of North America’s leading importers of organic and natural wines direct from family produced wineries around the world. 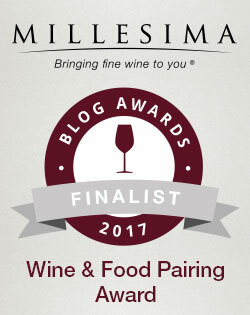 Their entire portfolio is produced to vegan wine standards and many are Certified Vegan. Even better, many of their wines are sold at your local Whole Foods stores. So if you’re looking for non-adulterated, natural wine, the folks at Natural Merchants have what you’re looking for. They were kind enough to send me a few to try. And just an FYI, if you scroll down, you’ll find a few key definitions as to what all these terms mean.1 So here’s what I tasted. First up was this lovely sparkler made with organic grapes from Spain’s Utiel-Requena region which is made of 100% Bobal. Utiel-Requena specializes in the Bobal grape, which is a red variety with thick skin that produces wines of intense color (thanks to a high level of anthocyanins)2 and flavor. Bobal is also known to be quite acidic and tannic. The region has had a reputation of producing wines that quite frankly are not very good. But like many regions around the world, winemakers have committed to making the wines of the region better, and that starts in the vineyard. The organic grapes for the wine were grown in the hills just west of Spain’s Mediterranean coast near Valencia. In the glass, the wine showed a deep strawberry pink in the glass due to the intense color of the Bobal grape. I’m not sure of the atmospheres of pressure but it seemed to sit somewhere between semi-sparkling and full-sparkling. Either way it offered nice acidity and would appeal to both lovers of sparkling wine as well as those that aren’t such big fans.3 Tasting it offered up a creamy mousse of strawberry, orange cream, lime, spice and a hint of residual sugar. Absolutely perfect for quaffing on hot day (so easy to drink) but could also pair with a number of foods including spicy Cajun or Asian fare, seafood, and grilled pork or chicken. We paired with grilled hot dogs and sausage while swimming in the pool. The winery has received certification of its organic status from Spain’s ECOCERT. 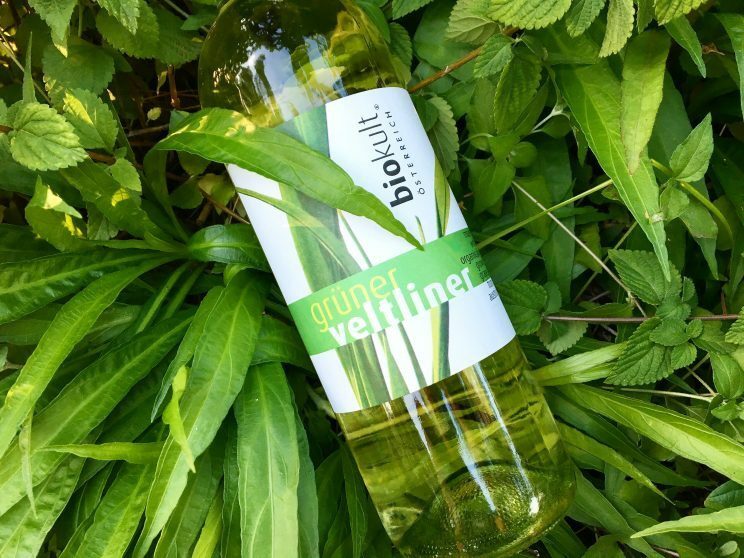 This Grüner Veltliner is made from organic grapes and from a Demeter certified biodynamic vineyard. The vineyard is located in eastern Austria, southeast of Vienna in the Niederösterreich region. 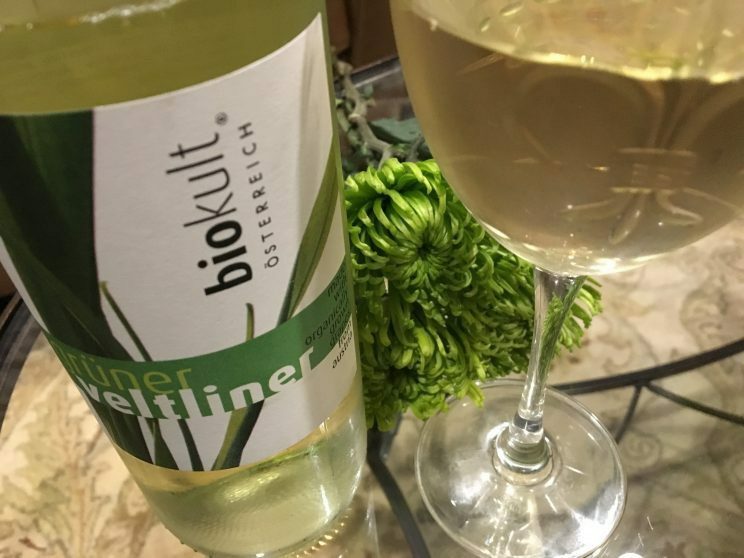 Niederösterreich is Austria’s largest quality wine-growing region, and while a number of international and indigenous varieties are grown in the area, Grüner Veltliner reigns supreme. In the glass, this one showed a pale lemon-green. It had a very fragrant nose with aromas of peach, apricot, pineapple, and some floral notes (blossoms maybe). The wine was vinified in stainless steel in a reductive style which preserves the fresh fruit aromas and explains the intense pronounced aromas. In the mouth, the wine was medium bodied and provided bracing acidity with tart key lime and pear along with a clean finish. This would be great as an aperitif but would also pair with lighter dishes such as salads, creamy cheeses, noodles, and grilled fish. I will note that this wine was a bit of a chameleon. Ice cold and right out of the fridge, it was just all tart acid. But when I allowed it to warm up some (and we should do this with most of our whites anyway) I found I enjoyed this one so much more. Most white wines will show you their best character when they’ve warmed up a bit. That’s when the fresh fruit aromas and flavors really reveal themselves. In addition to Demeter certification, the winery has also received certification from Austria’s Bio Garantie. 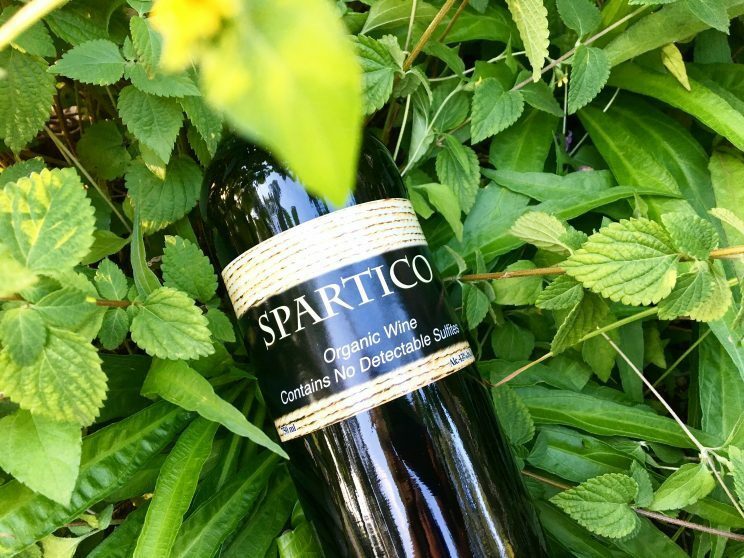 Unlike the two previous wines and the one below which are made with organically grown grapes, this wine is labeled as an ‘Organic Wine’ which means it also has no added sulfites. Scroll to the ‘Key Definitions’ section below to better understand the terms. Crafted of 50 % Tempranillo and 50 % Cabernet Sauvignon, the wine was made without the use of added sulfur dioxide (SO2). Additionally, only indigenous yeasts were used. As sulfur is used as a preservative and stabilizer and essentially prevents your wine from going bad, it takes a great deal of effort to make a wine without it. To make a wine without adding sulfites, the winemaker must use extreme hygienic methods both in the vineyard and in the winery. The grapes for this one were hand harvested using small crates to prevent breakage and handled with extreme care. Seeing no oak, the wine’s fruit flavors and aromas were front and center but there was also some earthiness to the wine. On the nose, there were fresh aromas of blackberry, clay, dried herbs, and chocolate. On the palate there was a nice balance of fruit and acid and tannins along with flavors of blackberry, plum, pencil shavings, spice, and slate. Overall it was quite smooth, velvety, and fruit forward. This one is a natural with Spanish tapas, but could also take on beef and pork. I had mine with spaghetti and meatballs. Wines with little to no SO2 tend to have shorter shelf lives and I found that this one was best being enjoyed the first day. 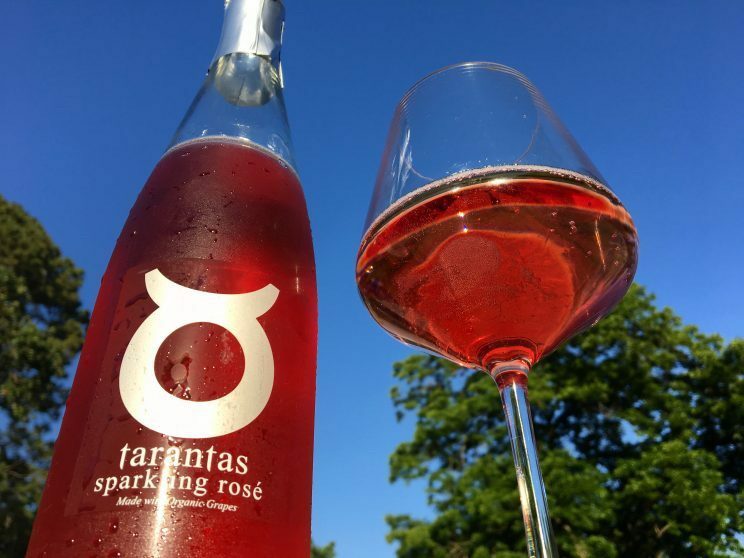 Like the Tarantas sparkling wine, this winery has received certification of its organic status from Spain’s ECOCERT. The last of the wines I was sent was from Bordeaux. And though I hadn’t had this particular wine, I’d had other lovely wines form this producer (see my Bordeaux primer) including a very nice Bordeaux Blanc and a fabulous Malbec. These folks make some good wines! 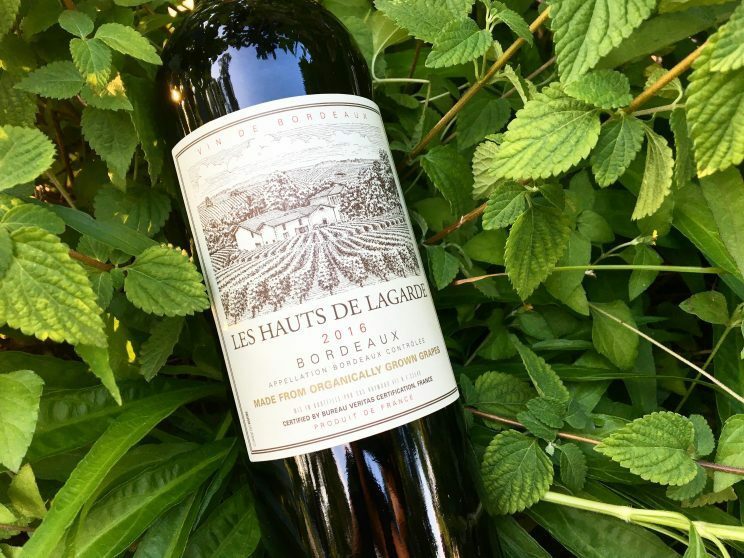 Using indigenous yeasts and crafted of organic grapes comprised of 65% Merlot, 25% Cabernet Sauvignon, and 10% Cabernet Franc, this one offers a great QPR at its price point. 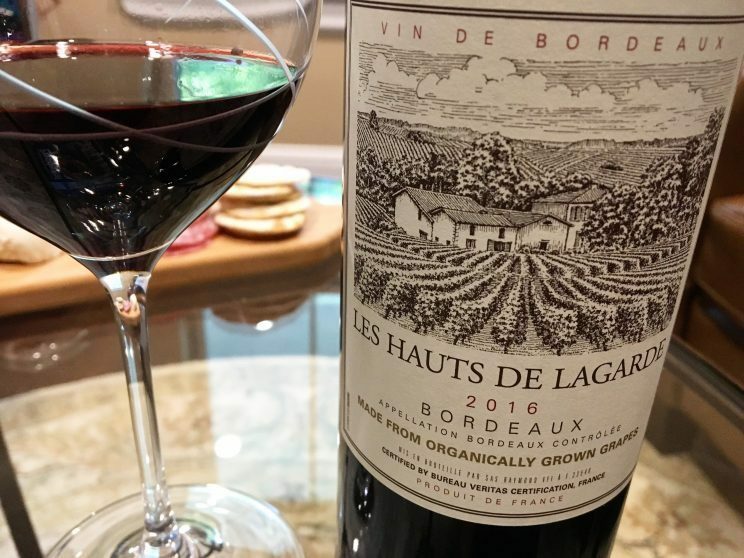 As I mentioned in that Bordeaux primer, there are lots of great values to be had from Bordeaux outside of the classified Haut-Medoc chateaux. This is another such example. Showing a deep garnet in the glass, the wine offered up flavors of dark cherry, black currant, smoke, and even some woodsy flavors. Approachable tannins and good acid. Just be sure to give it some time to open up. We had this on one of those no-cooking evenings with a meat and cheese board, but it would pair nicely with burgers, beef, and lamb. Organic viticulture involves grape growing without the use of synthetic or manufactured fertilizers or pesticides. The focus of the grower is healthy soil and growing a healthy vine that can protect itself from pests and other hazards, rather than on trying to shelter the vine from these things. Further, techniques such as composting and animal and plant diversity are a big part of organic viticulture. Given the focus on protecting the environment, the demand for organic grapes has steadily increased. To be recognized as an organic grower, it is necessary to receive accreditation from an organic certification body such as the U.S. Department of Agriculture’s (“USDA”) National Organic Program (“NOP”). Various countries have their own certification processes and organizations. 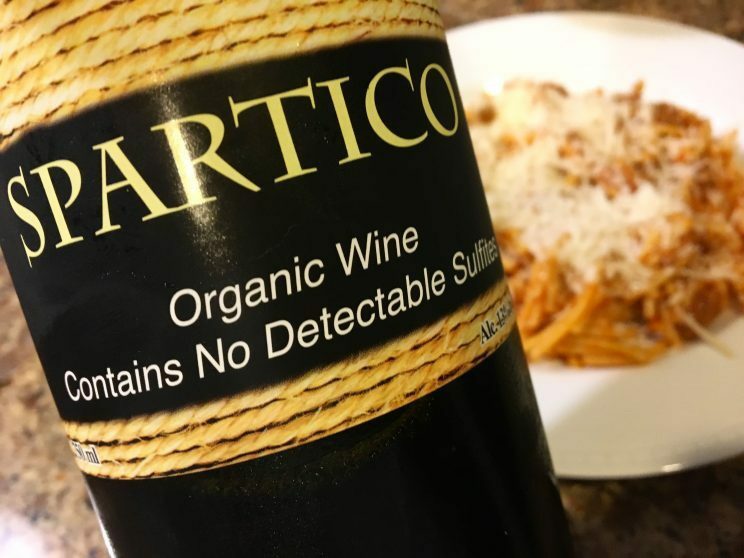 I should note that there is a difference between wines labeled ‘Made From Organically Grown Grapes/Organic Grapes’ and those labeled ‘Organic wine.’ In the U.S., wines labeled as Organic Wine must not have any added sulfur dioxide (SO2). See “No Sulfites” section below. Biodynamic viticulture encompasses many of the practices of organic viticulture but adds in a holistic view as well as metaphysical elements.4 Rooted in the work of philosopher and scientist Rudolf Steiner, the premise of biodynamics is that the vineyard (or farm or garden) is a living, integrated, connected ecosystem comprised of several elements (e.g. vines, soil, compost, people, the spirit/soul of the place, sun, moon, stars, etc.). Biodynamics looks to harmonize these elements. Operations are performed in the vineyard according to a biodynamic calendar which takes into account the cycles of the planets, moon, and stars rather than just looking at the season. For example, harvesting can only be performed on “leaf days” while pruning should only be done on “root days.” Homeopathic compost mixtures called “preparations” are used to fertilize soil, treat diseases, and ward off pests. Preparations are thought to give the organic fertilizer spiritual energy. Certification is available through the private organization, Demeter International. To help myself understand the concept, I likened it to the Farmer’s Almanac which so many farmers swear by as it also looks to phases of the moon, etc. when setting farming practices. It’s made from grapes, so isn’t all wine vegan? Maybe. Maybe not. As part of the winemaking process, many wines undergo various processes to make the wine clearer or remove bitterness. After all, when you’re swirling your wine in the glass and appreciating its beauty, one of the things you look for is the wine’s clarity. 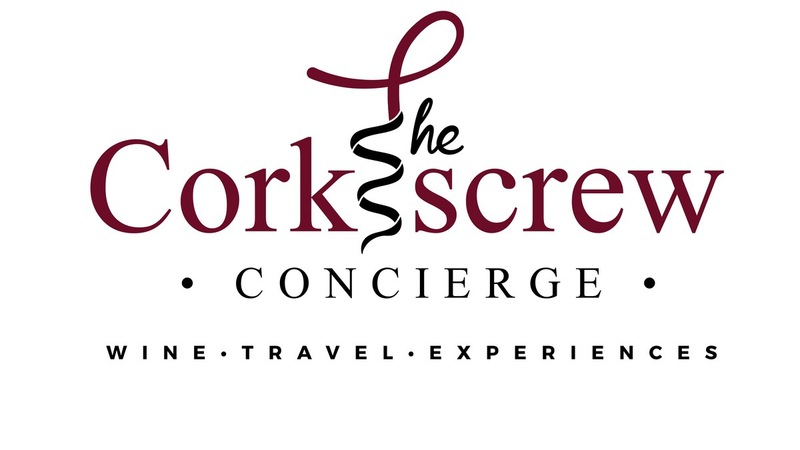 The process of fining is one such method of clarifying the wine. Fining involves using a product in wine to which suspended solids will bind. The fining agent and the bound solids become heavy and then sink to the bottom of wine as sediment and are removed from the wine. What many people don’t realize is that some fining agents are made from some pretty bizarre substances. Egg whites, casein/milk protein, swim bladders of fish, exoskeletons of crustaceans, animal protein from hides and bones, amongst others are all used as fining agents. Probably not so vegan. 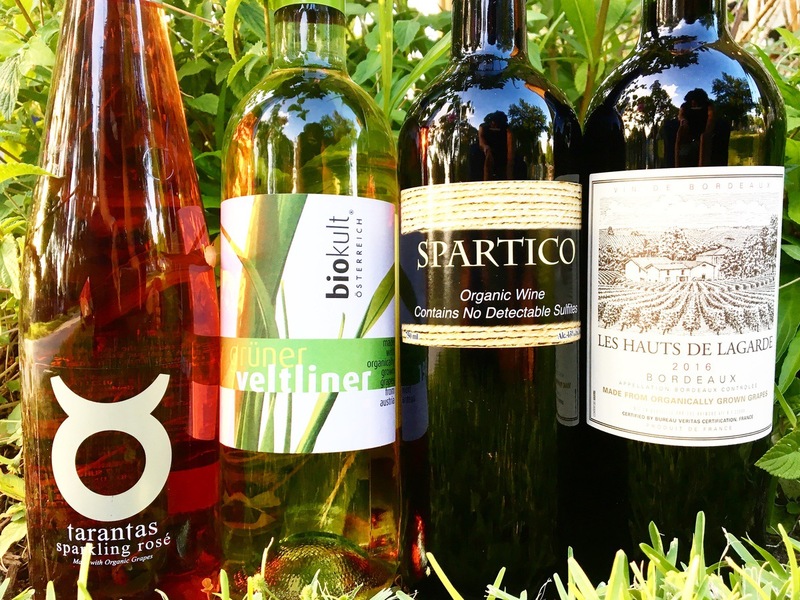 If a wine is labeled as vegan, it will not have been fined with one of these substances. Instead, if the wine underwent fining, it will likely have been with bentonite which is a natural earth clay or vegetable pea protein. First things first. For 99% of us, sulfites are generally not harmful as less than 1% of the population has issues with sulfite intolerance. Sulfites also are not cause our wine headaches. The more likely culprit are the histamines present in the grapes or additives. But that’s another story for another time. Winemakers routinely add sulfur dioxide (SO2) as a preservative to slow oxidation and knock out harmful bacteria. You know, to stop your wine from going bad. But sulfites are naturally present in wine (they are a by-product of the winemaking process) as well as many types of processed foods. That handful of dried fruit, your plate of French fries, or your can of soda likely have more sulfites than your glass of wine. The goal of the “no sulfite” movement is not to ADD any additional SO2 other than what naturally comes from the winemaking process. The point is that even if sulfites don’t cause any harm, many folks don’t like them for the simple fact that they view them as an unnatural addition when making wine. Further, wines without added sulfites can have a purity and a freshness and a distinct character that is so reflective of their terroir which is otherwise muted by the addition of sulfites. The wines can seem more alive and even more complex. So whether you suffer from a sulfite intolerance or just want to seek out these pure wines for enjoyment, there are more and more of these wines out there to enjoy. 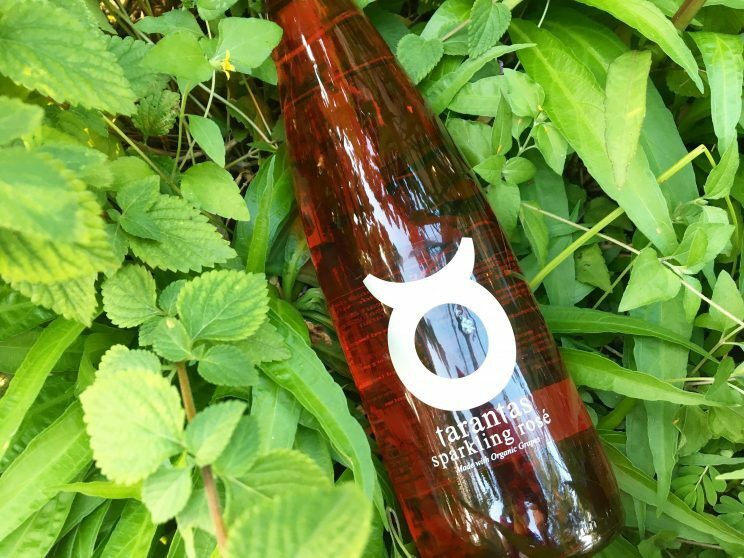 I can’t wait to see where this natural wine trend goes! I mean if I put all that verbiage up front with what I’ve already given you, there is a chance you would stop reading. And we can’t have that! Anthocyanins are phenolic compounds in grapes that are the source of pigmentation in red wines. In other words, it’s what gives red wines their color. Yah, I don’t get those people. This form of viticulture is catching on as there are some big name producers that use this form of viticulture including Michel Chapoutier, Bonny Doon, Cristal Champagne, and Domaine Zind-Humbrecht among others.